This living wreath project makes a great gift or something that you can use to adorn your home. I have used herbs and ground covers in this project, but you can also use annuals. Just keep in mind that low-growing and trailing plants work best and think about the level of sun in the area where you want to keep the wreath when choosing your plants. Soak the sheet moss in a large bucket of water for approximately 15 minutes. Gently squeeze the excess water from the moss and lay it underneath the wreath frame. Fill the frame with soil. I used a soilless mix with slow-release fertilizer already added in. Attach the wire to the frame. Gently pull the moss around the sides and top and wrap the wire around to have the moss cover the frame and soil. Continue working around the wreath with the wire every 2 inches. Start at the top of the wreath and plant the herbs by cutting a slit into the wreath parallel to the wires. Use your fingers to make a hole and carefully push the plant in. Continue planting the other plants, spacing evenly around the wreath. Place the entire wreath on the ground and give it a good but gentle soaking. Smaller plants work best. If you can, buy plants in small cell packs, or try and split them apart. This works well with most thyme and some oregano. Always consider the sun needs of the plants. Trim the plants from time to time to keep them neat and tidy. That’s it. Now you have your own living wreath that you can hang outdoors or set as a table centerpiece on a patio table. What a neat project and I love that green moss base reminds me of some of the trees at our property that have it growing on them Great instruction and then when I continued to scroll I saw that beautiful herb wreath too. My Favorite!! My herbs are plentiful right now I should really make one before we leave here. How fun to have moss growing on the trees in your property. I’m sure you will find many ways to utilize it. 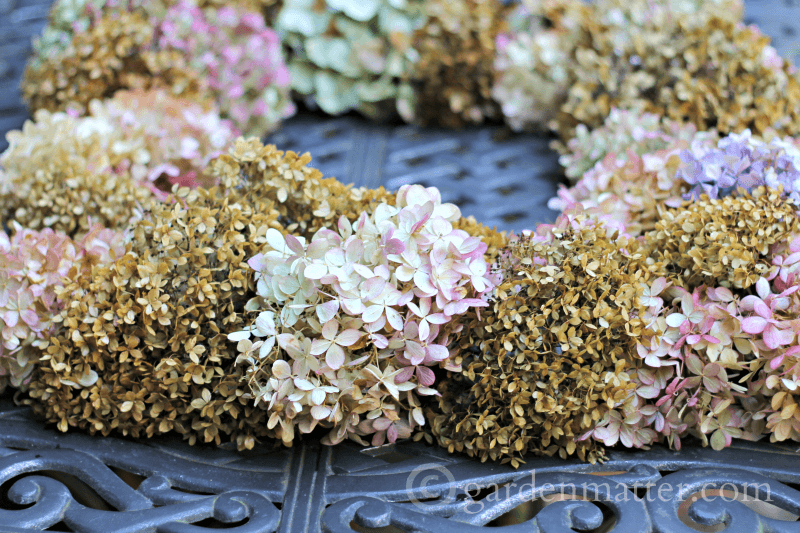 The herbal wreath is super easy to make and you can use all kinds of plant material for it.